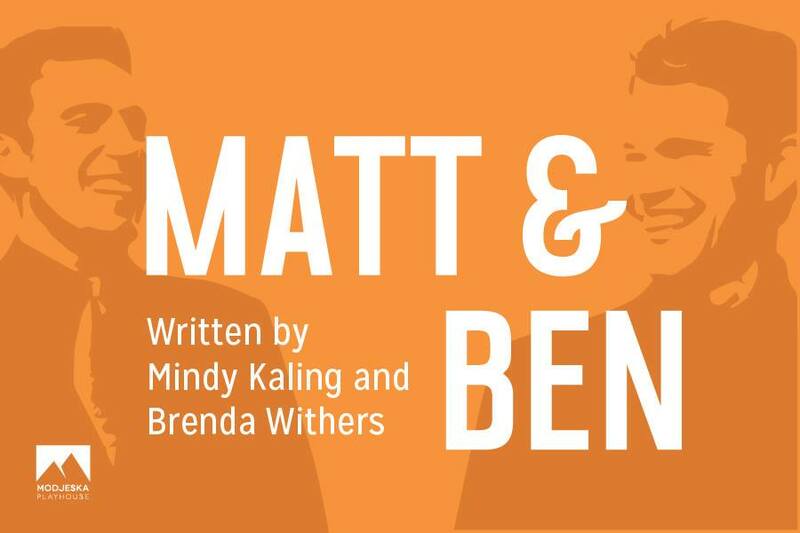 We’re excited to launch our third season next week with the hilarious comedy ‘Matt & Ben’ written by Mindy Kaling and Brenda Withers! ‘Matt & Ben,’ a biting Hollywood satire, depicts its Hollywood golden boys – before J-Lo, before Gwyneth, before Project Greenlight, before Oscar… before anyone actually gave a damn about them. When the screenplay for ‘Good Will Hunting’ drops mysteriously from the heavens, the boys realize they’re being tested by a Higher Power. $15 PREVIEW NIGHT Thursday, Sept. 29 at 8 p.m.
Use Promo Code: GOODWILL (case sensitive) for $5 off tickets (does not apply to Preview Night).